California is a great place to live and work. Due to our great weather and bad traffic, we have to innovate and find new ways to travel around our communities. One of those ways is on a scooter. While efficient for short trips, scooters require you to be acutely aware of your surroundings while riding one. You need to do this because many other people won’t. Here are a few tips to help keep you safe while riding a Bird or Lime scooter in Los Angeles. Accidents can occur on scooters just like they can with regular vehicles. In fact, many accidents occur between scooters and vehicles. Someone driving a car may not see you or may not look and hit you while you are riding your scooter. You may be injured by a malfunctioning scooter. The brakes might lock up or a tire might go flat causing you to run into something or fall off. You may also be injured as a pedestrian who is struck by someone riding a scooter. Most injuries are caused by distracted drivers. You may be riding your scooter, following the rules of the road, but a driver who is distracted by their phone, the radio, or anything else changes lanes and collides with you. This may all happen at slow speeds but that does not mean you get away without any injuries to you or damages to your scooter. You don’t even need to be riding a scooter to be the victim of a scooter accident. Someone may have left their scooter on the sidewalk and you trip and fall over it. Someone may be riding their scooter on the sidewalk and run into you while you are walking, causing an injury to you. Injuries from scooter accidents can range from scrapes to broken bones, concussions and other brain injuries, and, in the worst of situations, even death. 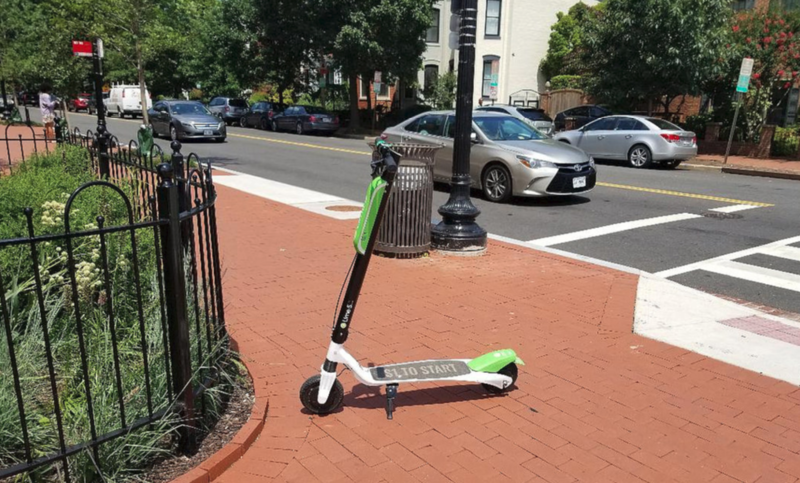 Are There California Laws That Apply to Bird and Lime Scooters? Being involved in a scooter accident is not fun. It can be a confusing experience with uncertainty about how to proceed and what to do next. Taking these steps after an accident can help you build a strong case. The decision to hire an attorney to represent you in your scooter accident is not an easy one. The lawyer you choose will have a significant impact on the outcome of your case. At Steinberg Injury Lawyers, our seasoned attorneys can help with your scooter accident case. Contact us today at 800-989-6385 for a free, no obligation evaluation of your case to see how we can help you heal and move forward.